The universe is at your fingertips in this interactive adventure through space. Read about WWII rockets, eclipses, how humans might live in space colonies, and more. 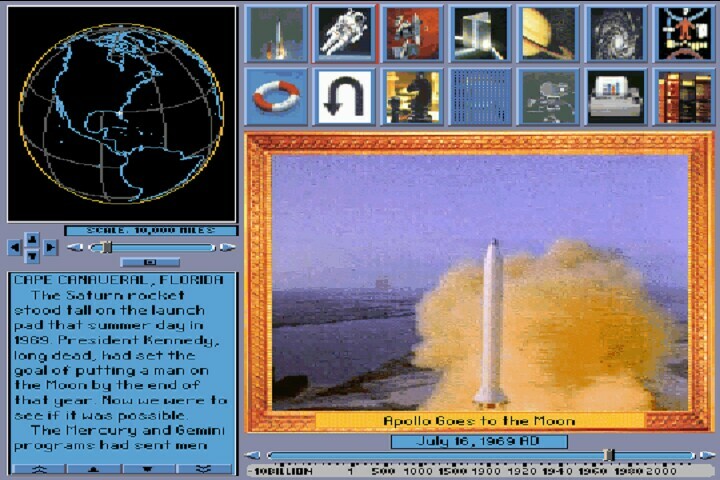 Watch Voyager flybys, Apollo launches, former President John F. Kennedy challenge America to go to the moon, computer simulations, and other videos. By clicking on objects on the screen, you can zoom to other topics on space. Space Adventure even covers some science fiction, too! 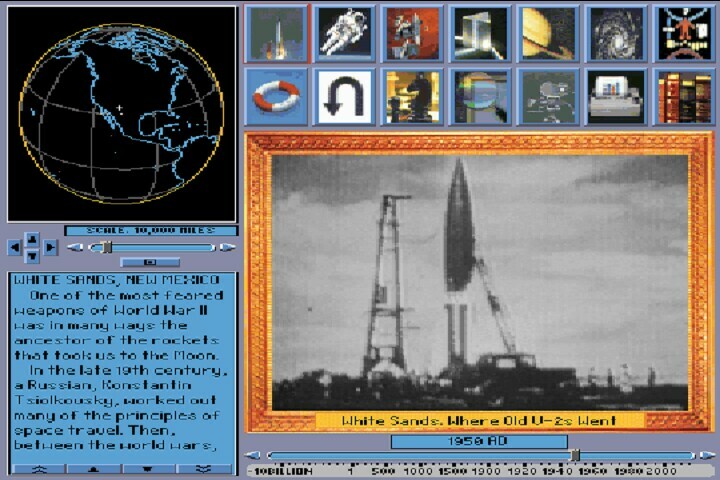 The whole thing is like a really big encyclopedia covering, space, our solar system, space probes, aliens, and other stuff that a budding astronomer could want to know. It also features Caltech's Tom McDonough and astronaut Buzz Aldrin. Dinosaur history, an informative description of the dinosaurs. 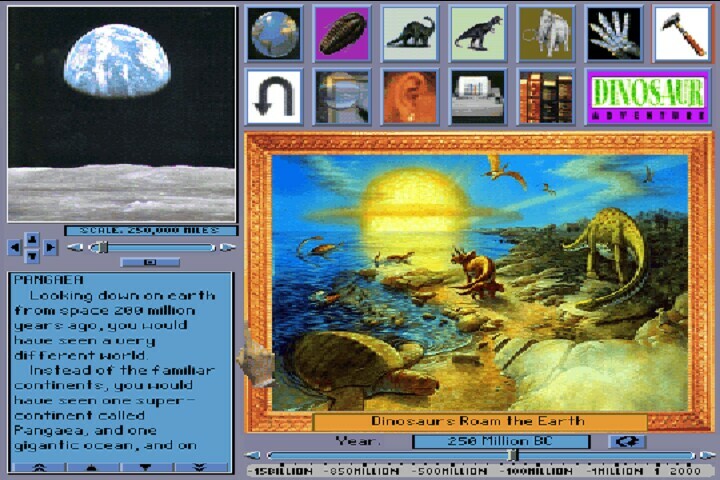 It closely follows the pattern of other Knowledge Adventure titles. A story-book that reads to you, highlights and pronounces words and describes pictures on the pages. Just click on various objects in the story-book to see how it works. 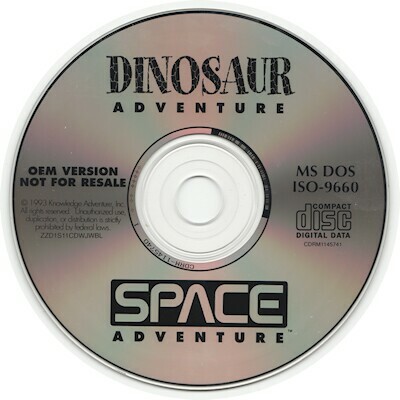 Two special games, Name-A-Saurus and Read-A-Saurus. In each of these games, try to answer the question by clicking on the appropriate answer. To get a new question, just click on either of the arrow buttons at the bottom of the screen. A Dinosaur Theater. Want to watch a Tyrannosaurus and Stegosaurus battling? 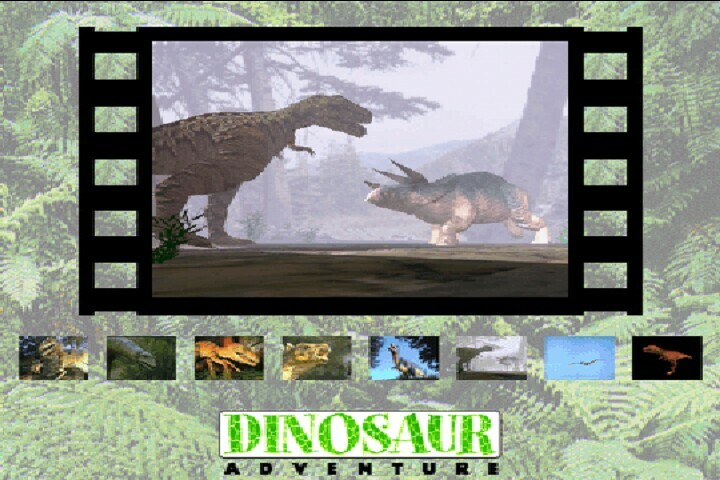 Just click on that icon (or any of the others) in the Dinosaur Theater.